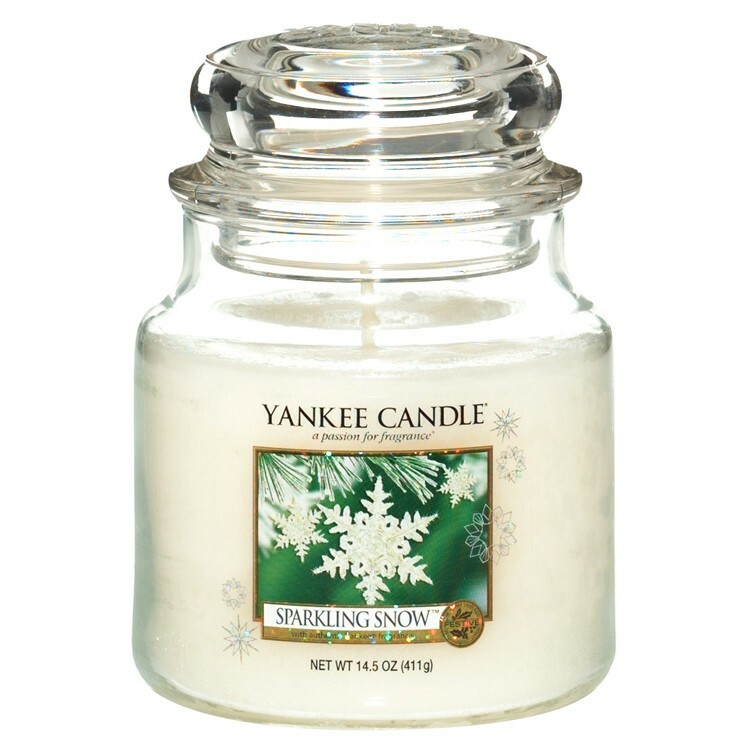 Yankee Candle ® Classic Medium Jar (14.5oz) Sparkling Snow seasonal scent delivers a crisp, naturally fresh aroma of gleaming snow-covered pines. Distinctive traditional Yankee Candle medium sized glass classic jar with a removable lid, self-contained for optimum convenience and safety. 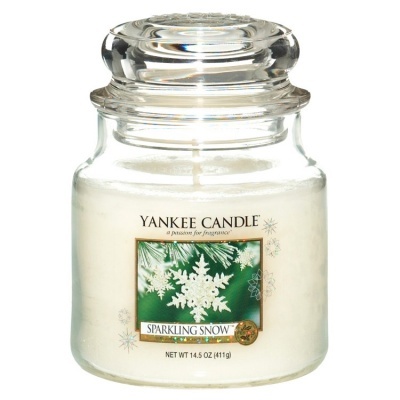 Yankee's classic glass jar lid also serves as a tight seal to lock in fragrance when the candle is not being used. Yankee's famous fragranced oils create true-to-life aromas that touch the senses like the real thing. Sparkling Snow essence transports you to the highest snow-tipped mountain where the naturally fresh scent of powdered snow awakens your senses. Calm and relaxing aroma leaving the room feeling cleansed and comforting.